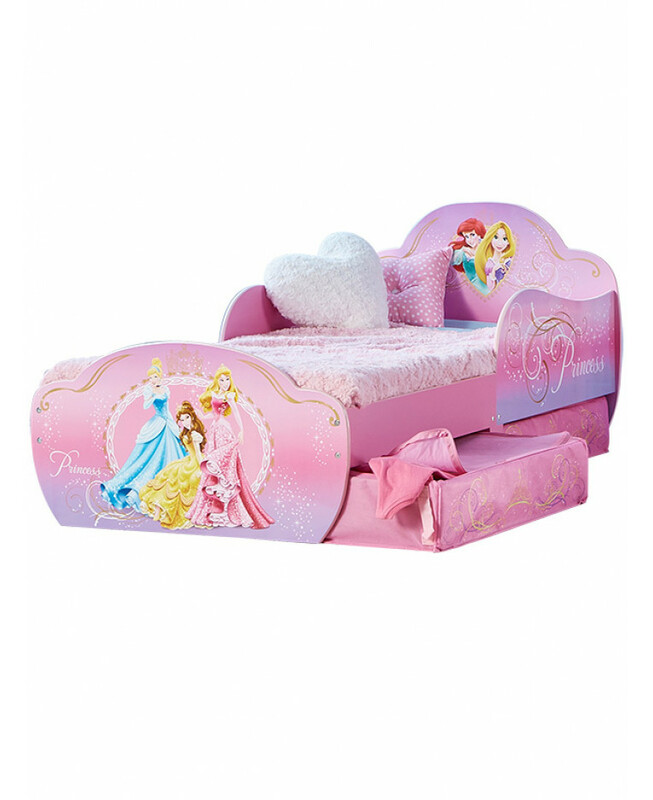 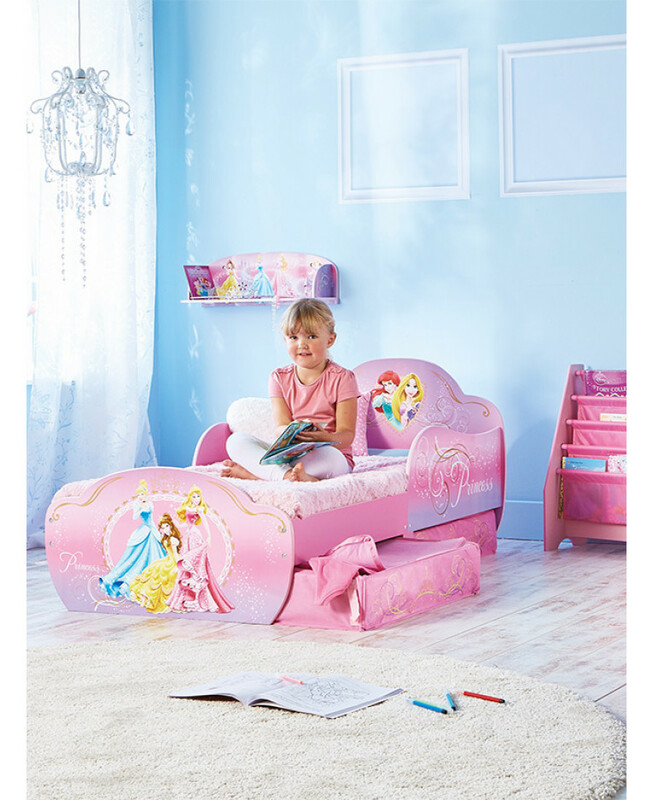 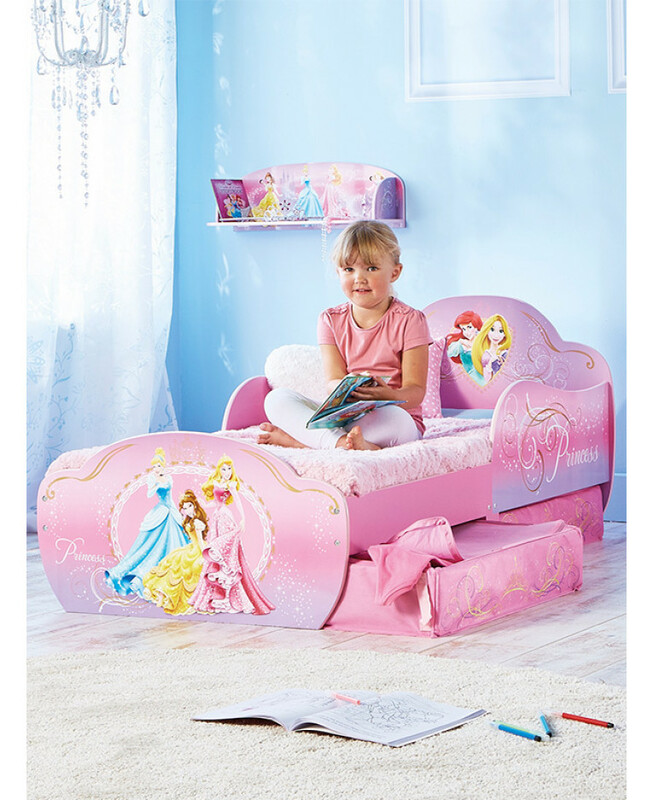 This Disney Princess Wooden Toddler Bed is the perfect pick for any princess who wants to be Belle, Cinderella, Rapunzel, Ariel or Sleeping Beauty. 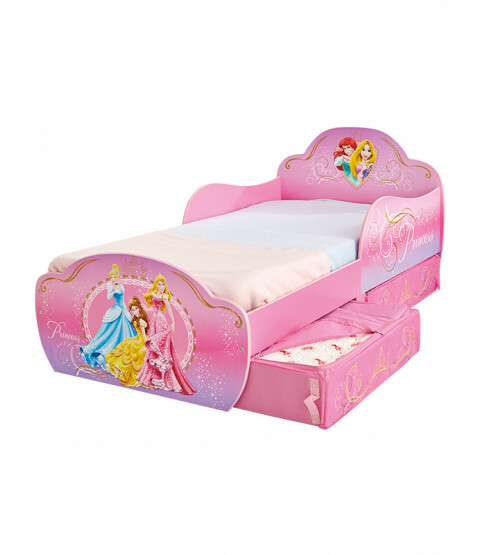 With a pretty pink and purple design fit for girls aged from 18 months to 4 years this bed is the ideal step between cot and full sized single bed, with reassuring side panels to protect princesses from night time tumbles. 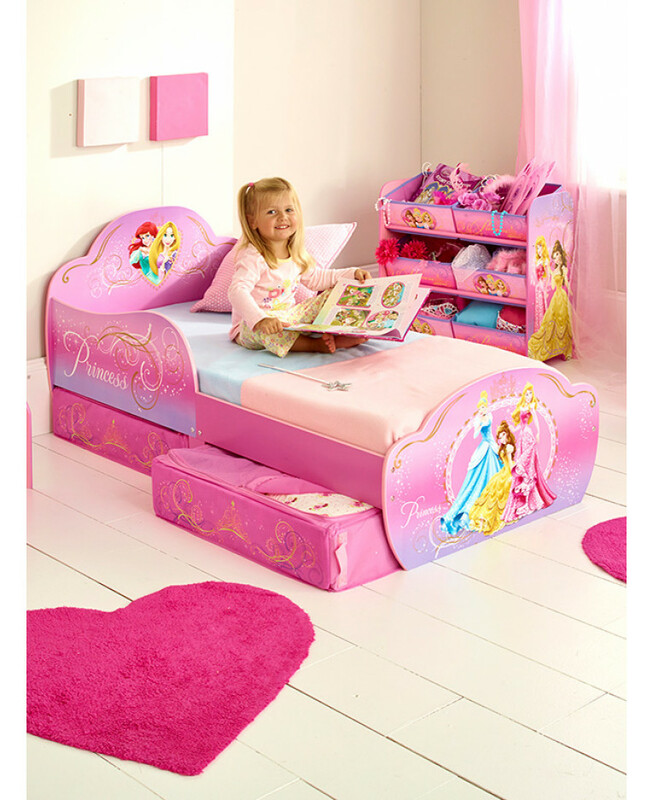 The princess bed offers storage while you sleep with two handy storage drawers with spacious insides to keep toys, clothes and books neat and tidy and fabric outer to cover the clutter in style. The bed frame is made from robust and durable wooden MDF and is easy to assemble with hassle free instructions, strong fittings and fixtures making a straightforward and safe bed for your sleeping beauty.